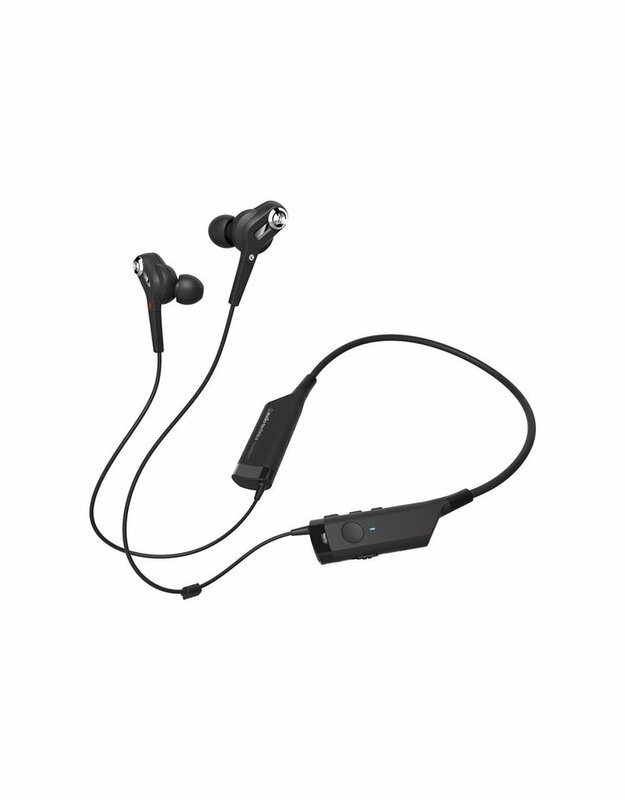 The ATH-ANC40BT QuietPoint wireless in-ear headphones combine Audio-Technica’s proprietary active noise-cancelling technology with Bluetooth wireless technology to give you greater freedom and listening pleasure in areas of high ambient noise. The wireless headphones reduce that distracting background noise by up to 90% while the 13.5 mm drivers deliver superior sound reproduction. 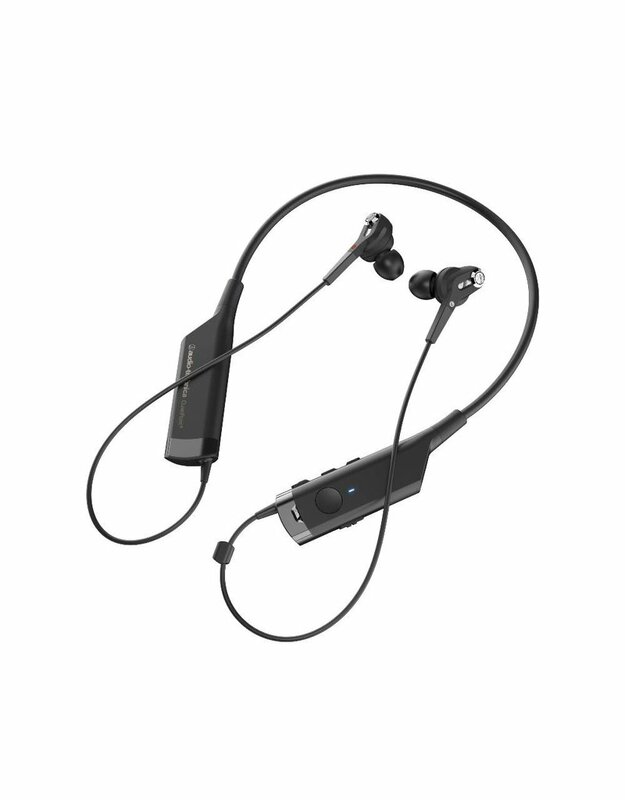 The Bluetooth functionality, coupled with an in-line mic and controls, lets you operate hands-free, wirelessly answering/ending calls, controlling music playback and adjusting volume on Bluetooth enabled devices. 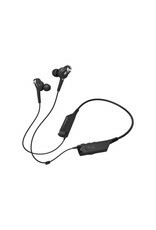 The headphones pair with up to eight Bluetooth enabled devices, and can be connected with two of those devices simultaneously, allowing you to shift seamlessly between your phone and tablet, phone and laptop or any other pair of Bluetooth enabled devices. The ATH-ANC40BT headphones also employ aptX sound-improvement technology, specifically created to yield the best-possible audio performance over Bluetooth transmission. Engineered to create a comfortable listening environment in areas with high ambient noise, these wireless in-ear headphones feature a miniature microphone in each earpiece that picks up ambient noise (such as traffic, air-handling systems, etc.). Electronics in the QuietPoint control module create a noise-cancelling wave that is 180° out of phase with the ambient noise. This wave acts like a noise eraser: it cancels out the annoying sounds that surround you without diminishing the audio you want to hear. The result: a peaceful enclave to enjoy the music or movies of your choice. The ATH-ANC40BT wireless headphones feature a convenient neck band design that loops the cable from ear to ear around the back of your neck so you don’t have to deal with any dangling cords. 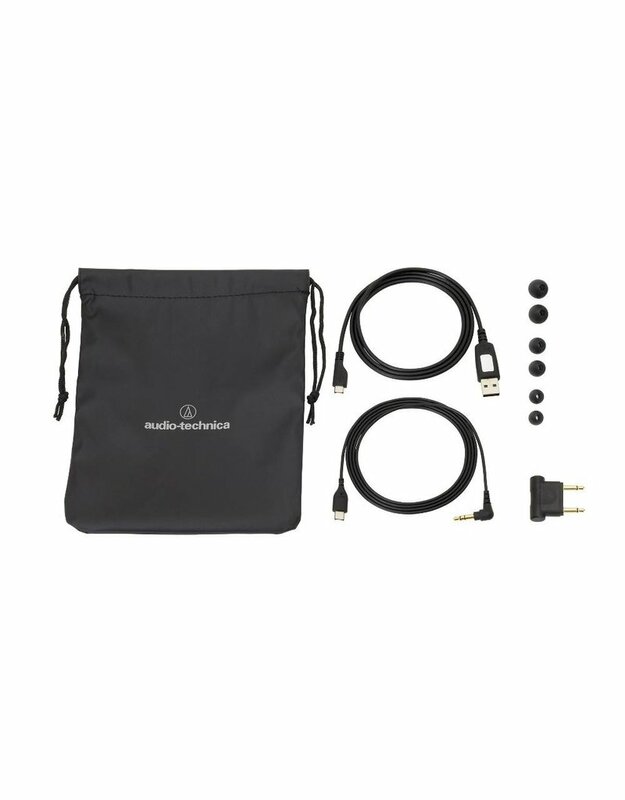 However, the headphones also come with a detachable 1.2 m (3.9') cable with 3.5 mm stereo mini-plug that can be used to create a standard wired connection – helpful in areas where Bluetooth wireless operation is prohibited or for when the power from the internal DC3.7 lithium polymer battery gets low. 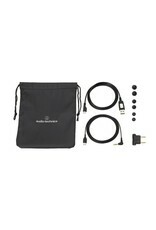 Also included are silicone eartips (XS/S/M/L), a 1.0 m (3.3') USB charging cable, an airplane adapter, and a protective pouch.